Nature and man colluded to make 2009 a memorable year. Not the good kind. Even though I have some knowledge of geology, I am always surprised when the metamorphosis of the planet manifests itself so violently. Haiti and the surrounding region are changed forever, as is our planet. People have been changed forever. We must help where we can. We have a unique type of music that brings peace to the spirit and we must continue to depend on this source. The genre of neo-symphonic is gaining strongly and rightly so, being the child of classical and contemporary music. This year surprised me with the lack of Celtic based offerings. Where are you now? I submit to you ten albums in no particular order that I felt best exemplify the warmth, peace and comfort that our music has always offered us. 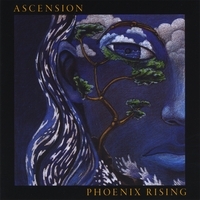 Music comes full circle in a wonderful recording that is strongly reminiscent of the '80's New Age beginnings. Could it be the influences of producer Will Ackerman or the fact that great music never goes out of style? Both I think. 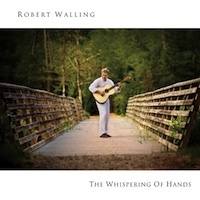 Guitarist Robert Walling offers up an album of strong compositions and pleasurable melodies that entertain body and soul. Notable cuts are Soliloquy, Beautiful Mist and The Journey. This Canadian singer/songwriter took the Celtic center stage in 2009 and she deserves every accolade given. 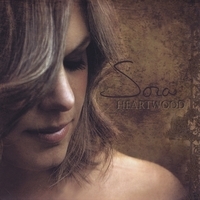 Her original Celtic recording Heartwood is poignant and engaging. Her story songs and warm voice never fail to please. Sora used every trick in the book including string ensemble, background drones and soaring vocals. I liked every cut on the album. She set the bar in 2009 and more Celtic artist should take heed. Best cuts include Heartwood, Eurydice and The Birch's Lament. 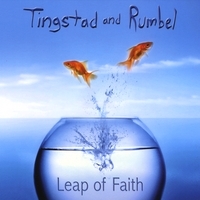 Perennial favorites Eric Tingstad & Nancy Rumbel, two legendary artists that are synonymous with New Age music gave us Leap of Faith. The album is fun, frolicsome and unforgettable as they offer us delightful new material, great reprises and funky covers. The world tune Spring Maiden really stands out as a winner as we are exposed to Korean folk music at its best. The title tune Leap of Faith, and the well-known tune Medicine Tree satisfy like no other. Cover song like Georgia on My Mind, San Antonio Rose and Happy Trails add musical joy to the experience. 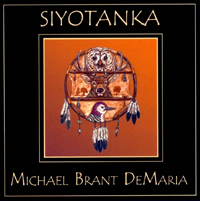 Classic Native American and original tunes come to life on Michael's album, Siyotanka. He easily reminds me of flutists like R. Carlos Nakai and newcomer Evren Ozan, but his music has a natural slant to the contemporary. His echoing flute is soothing as the west wind and peaceful as a sunset. His choice cuts are Becoming Tadoka, The Dream and the title tune Siyotanka. 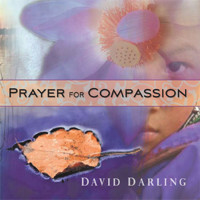 The title of my review for cellist David Darling was "This Should Be Heard". Well, apparently it was, for the album won the 2009 Grammy Award for best New Age album. Darling, a former member of Paul Winter's Consort has a plethora of followers with such noted albums as Eight String Religion, Cello Blue and The Tao of Cello. His album, Prayer for Compassion is most thought provoking in its subject and intricate in its composition making it sad, beautiful and extraordinary. Key tracks are Stones Start Spinning (my favorite), the title track, Prayer for Compassion, War is Outdated and When We Forgive. Without a doubt the most difficult review I have ever written this year due to the melancholy nature and history of the music. 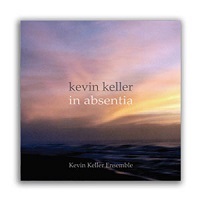 When Kevin Keller lost a loved one, he transmuted his loss and pain into a beautiful, heart-wrenching album of soulful music. With the single peal of a bell, the journey from loss begins. It flows through confusion, to acceptance and finally, to surrender. 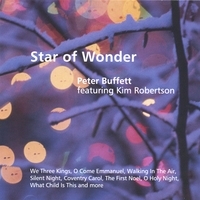 Exquisite ensemble compositions will soften your heart and touch into deep places within. Notable cuts include Stillness, Anticipation, Struggle, and Peace. This would be my personal pick for album of the year. It was a pleasure for me this year to witness this legendary performer in a live concert and he amply displayed why he is the very best. David Lanz is self-effacing, down-to-earth and downright agreeable. Painting the Sun is the renowned composer's most colorful work with a fine attention to detail. The music is bright, cheerful and expressive. His cover work on Pete Seeger's Turn, Turn, Turn and his original works are first rate. I never get tired of listening to Lanz' music and there are thousands of piano players out there that have been inspired by this master. Great tunes consist of the title tune, Evening Song and Sleeping Dove. From San Francisco, California comes the surprise of the year. Pianist Wendy Loomis and flautist Monica Williams, the talents behind Phoenix Rising, combine with a light ensemble to offer an enchanting album of contemporary music that pleases on just about every level. Nestled inside the recording are some ethnic instruments that lend a tasty international flavor to the work. Seed, Creation and Heartstrings are just two of the memorable seven tunes. Australia's favorite musical daughter has been steadily growing in experience, talent and fans for the last five years. Fiona Joy's jubilant compositions have hit new heights on her current album Blue Dreams and she did it with a little help from her friends and that includes legendary guitarist/producer Will Ackerman. Make no mistake; the talent is all her own as her music germinates into forms that are more complex. Favorite tracks include Sunset at Ularu, The Midnight Interlude and The Turquoise Interlude. Far Away would be my choice for international best album of the year. 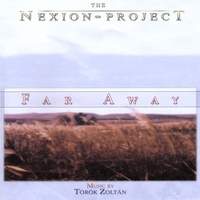 The Nexion Project is the remarkable work of Torok Zoltan from Hungary. His combination of genres including contemporary, cinematic and ambient defy conventional description except to say they are phenomenal. I reiterate to say this is music for every day and every night, no matter what your mood. Choice tracks are Dawn, Crossroads, The River and Landscape. 2010 can only mean a better year for the music that we love. No matter how many terrific albums are released with their positive messages of beauty, love and spirit each year, somehow it never seems enough.